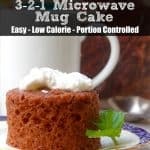 This skinny 3-2-1 mug cake is a simple way to satisfy a craving for cake in minutes with just two ingredients, a mug and a microwave for 105 calories and 5 Weight Watchers SmartPoints. Low in calories and naturally portion controlled it is perfect for Weight Watchers who don’t want to be tempted by an entire cake. With just 105 calories and *5 Weight Watchers Freestyle SmartPoints this cake demonstrates that it is possible to have your cake and skinny jeans too! 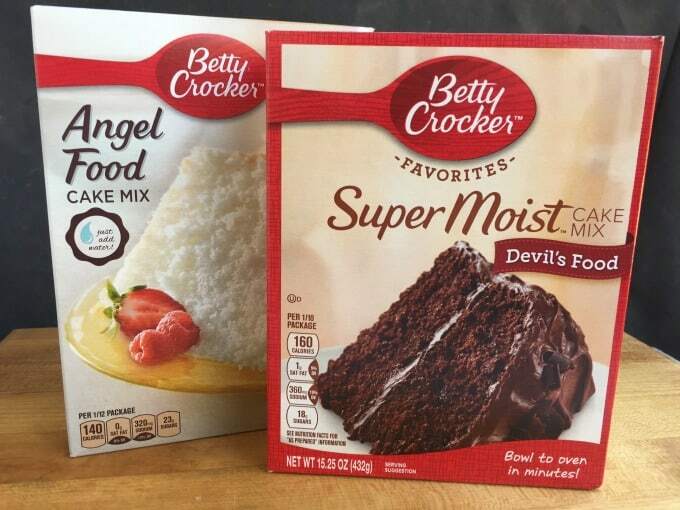 You’ll need a box of angel food cake mix and a box of another cake mix of your choice. Since I love chocolate I chose Devil’s food. But you can use whatever flavor you like best. 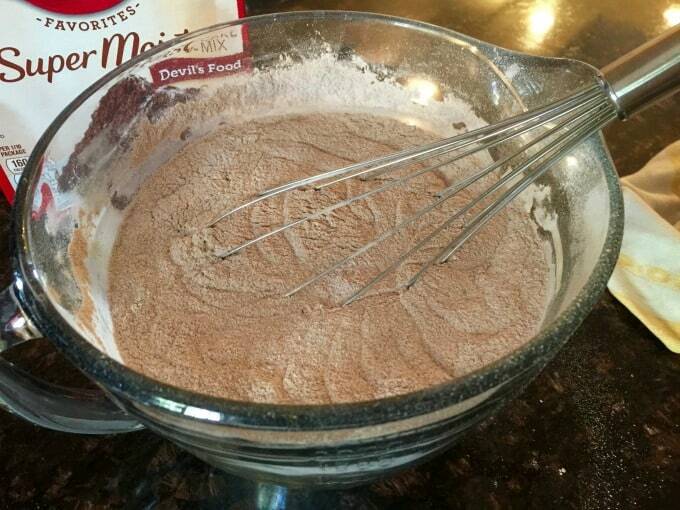 Whisk the two dry mixes together until they are free of lumps and well combined. You now have enough “321 cake mix” for about 31 little microwave mug cakes. 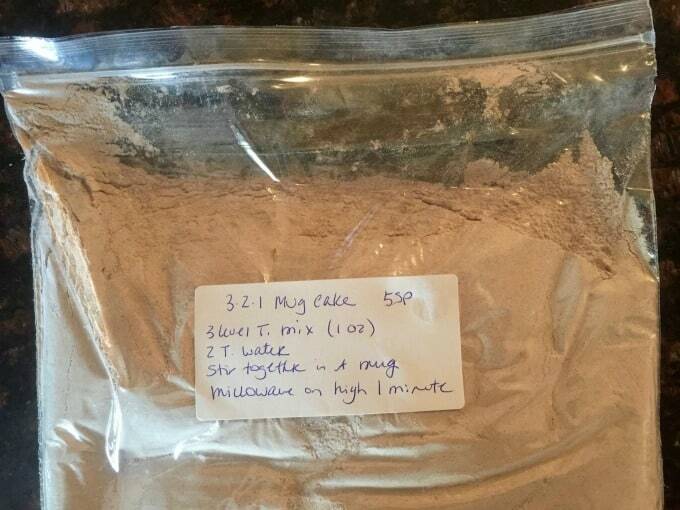 Store your 3-2-1 microwave cake mix in an airtight container. I prefer a one gallon zipper lock plastic bag. Be sure to label your container with what it is and the instructions so you are ready the next time a cake craving strikes. You’ll need a mug that holds at least 10 ounces, measuring spoons, nonstick cooking spray and your dry 3-2-1 cake mix. Coat you mug with nonstick spray. Then add to it 3 level tablespoons of dry cake mix and 2 level tablespoons of water. Stir together with a fork (which acts like a little whisk) until the mixture is well combined. It will bubble up which is fine. 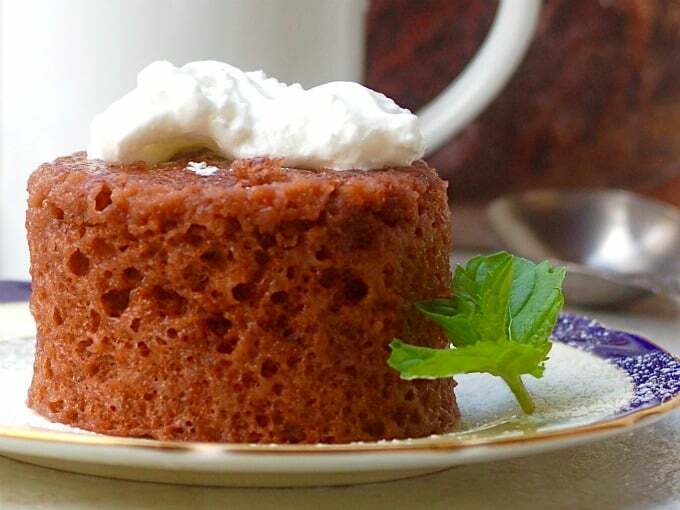 Microwave your mug cake for approximately one (1) minute and voila – you have cake! The actual time will vary a little depending on the wattage of your microwave. My microwave is 900 watts and takes 50-60 seconds. 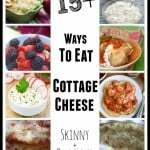 If your microwave has higher wattage set your time for a little less. Granted this little microwave cake is not the prettiest thing on the planet but it tastes yummy, especially when it is still warm. You can eat it right from the mug. Or turn it out onto a plate and pretty it up with a dusting of powdered sugar and dollop of canned whipped topping which is what I did for its photo shoot. And of course this is the perfect recipe for exploring your kitchen creativity by playing with different cake mix flavors, additions and/or accompaniments. 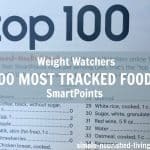 If you are a Weight Watcher concerned about calories and/or tracking your points be sure to adjust accordingly. Use any flavor of cake mix you prefer: chocolate, white, yellow, lemon, spice, funfetti, spice, carrot, strawberry, etc. Try adding 2 to 3 teaspoons of any of the following additions to the cake batter before cooking: miniature chocolate chips, finely chopped dried fruit, finely chopped nuts, sprinkles. Top with a dollop of light whipped topping. Spread with thin layer of your favorite icing or chocolate hazelnut spread. Be sure your mug is big enough to accommodate the mixture and allow it to bubble up during cooking. I use a 10 ounce mug with good results. Be sure to spray your mug with nonstick spray to prevent your cake from sticking. Stir the water and cake mix together really well so that the mixture is smooth. The angel food cake mix will cause it to bubble which is fine. Your cake may take less than or more than one minute depending on the wattage of your microwave. 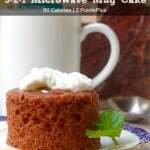 This little cake cooks in 50 to 60 seconds in my microwave, which is 900 watts. If your wattage is higher, set it for less time. 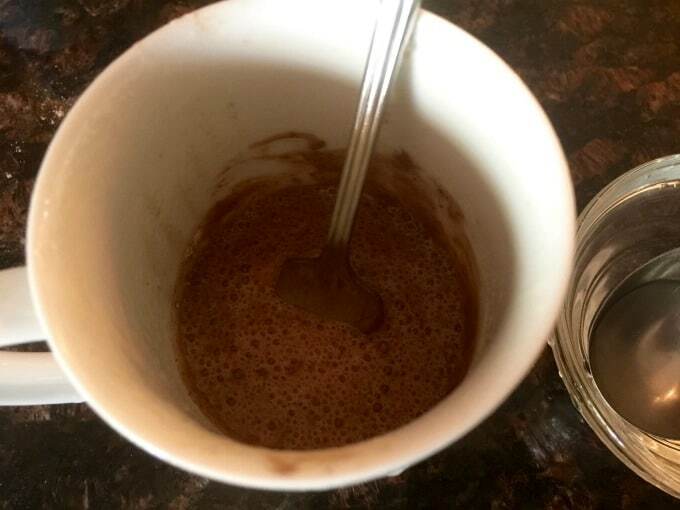 Enjoy right from the mug or allow to cool for a couple of minutes and then turn out onto a bowl or plate. This cake isn’t the prettiest dessert on the planet, but it tastes yummy warm from the microwave. 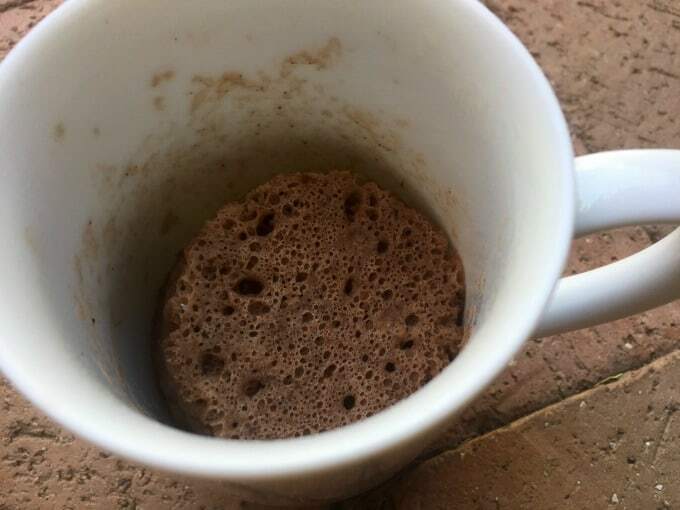 If you’ve made this 3-2-1 mug cake, please give the recipe a star rating below and leave a comment letting me know how you liked it. This 3-2-1 mug cake is a brilliant way to satisfy a craving for cake in minutes with just 2-ingredients, a mug and a microwave. Low in calories and perfectly portion controlled it is perfect for Weight Watchers who don't want to be tempted by an entire cake. 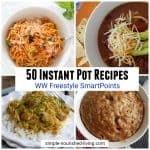 Each serving has just 105 calories and *5 Weight Watchers Freestyle SmartPoints. In a large airtight container or sealable plastic bag, whisk the two dry cake mixes until blended and free of lumps. To make an individual cake: in a mug coated with nonstick spray, use a fork to combine the 3-2-1 cake mix and water until blended and smooth. Microwave on HIGH for about 1 minute, or until the center is just set. (The time will depend on the wattage of your microwave). Let cool slightly or entirely in the mug. Eat directly from the mug or gently remove onto a small plate. Serve plain or with desired accompaniments (frosting, whipped cream, confectioners sugar, ice cream, frozen yogurt). Servings: The two mixes combine to make enough 3-2-1 cake mix for about 31 individual mug cakes. This is a great recipe for exploring your kitchen creativity by playing with different cake mix flavors, additions and/or accompaniments. 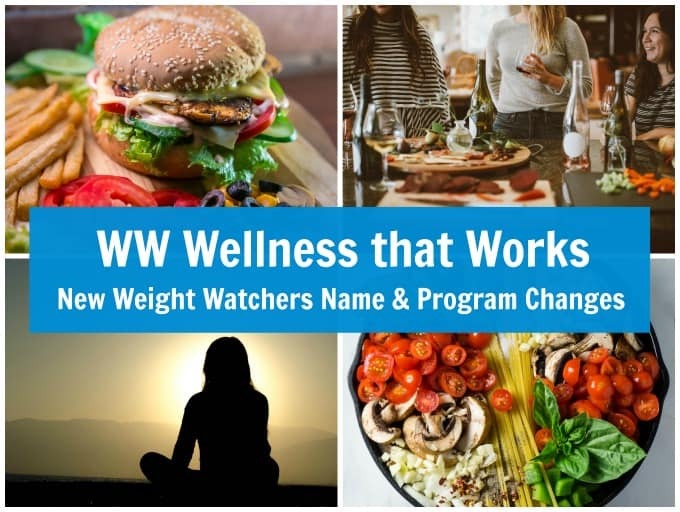 If you are a Weight Watcher concerned about calories and/or tracking your points be sure to adjust accordingly. Make a Caramel Apple Cake by adding a little bit of chopped dried apple to the cake before microwaving and then after it's baked top with a drizzle of caramel sauce. 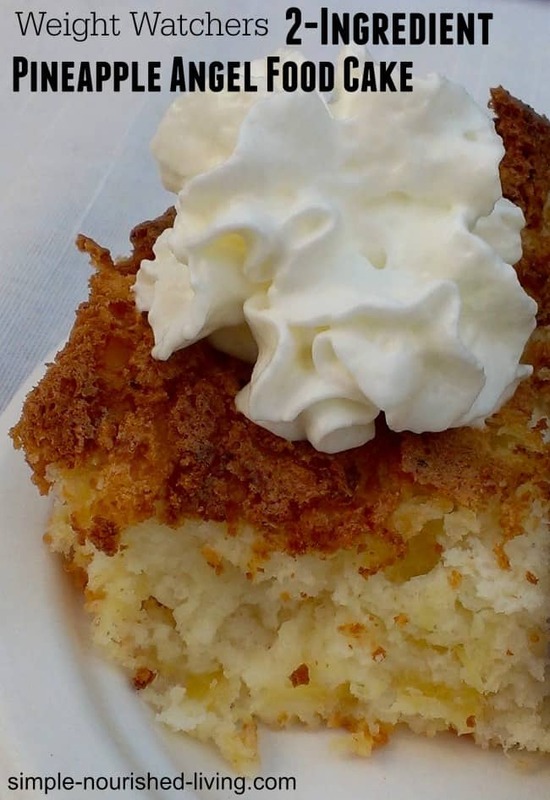 Top your favorite cake with fruit and whipped cream for a light and tasty "shortcake." 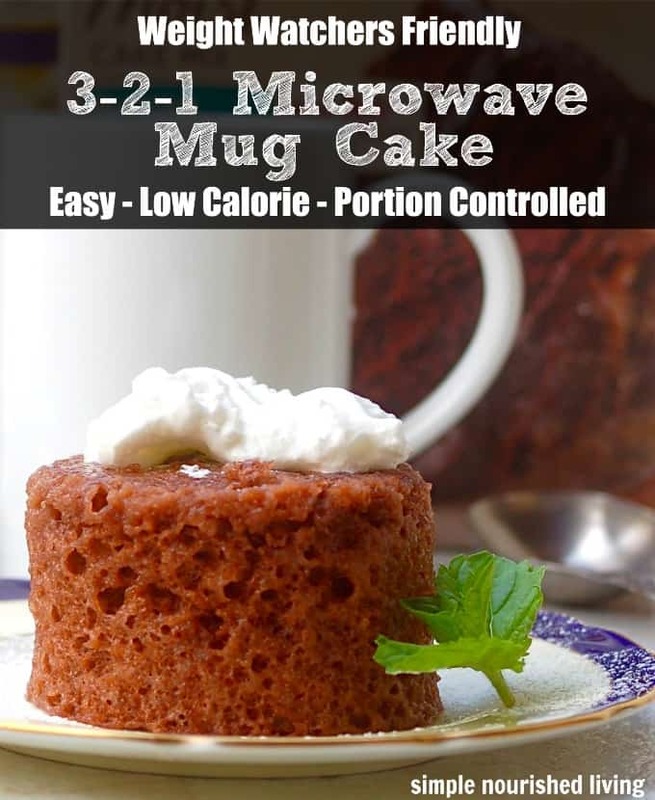 How Do You Determine the Calories for this Easy Low Calorie 321 Microwave Mug Cake? 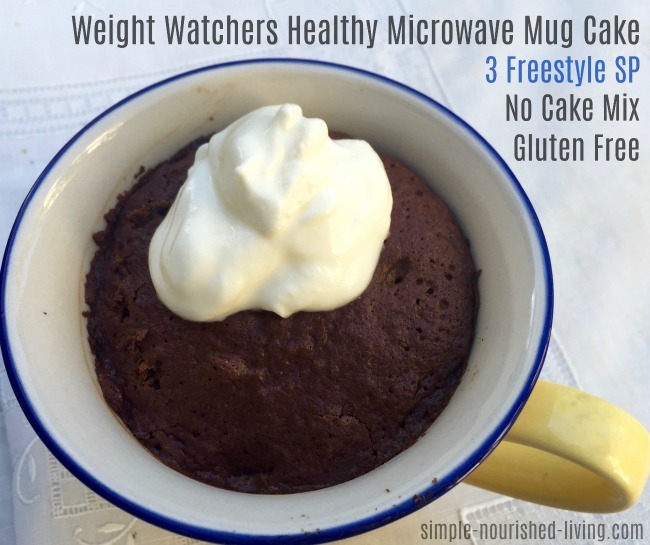 How Do You Determine the Weight Watchers SmartPoints for this 321 Mug Cake? 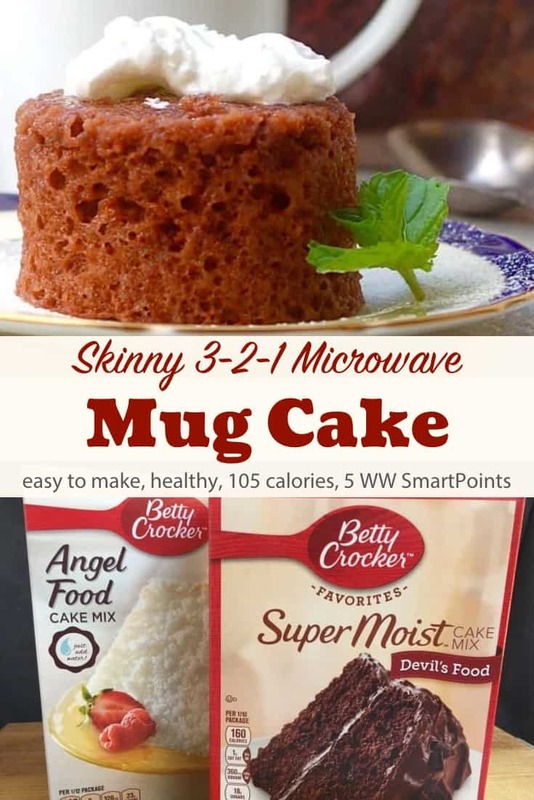 I originally posted that this 3-2-1 Microwave Cake Mix had 80 calories and 3 SmartPoints. Turns out I was wrong. After several commenters questioned the SmartPoints value and expressed concerns I redid my math. I went back to the drawing board with 2 new cake mixes, measuring spoons, scale and calculator. 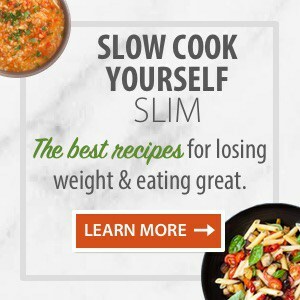 I used the Weight Watchers Recipe Builder basing the serving size on one (1) ounce of dry mix which is 3 leveled off tablespoons of mix. Using heaping tablespoons instead of level will result in a cake that is twice as big with twice the calories and points. According to the WW Recipe Builder this recipe has *5 SmartPoints with the cake mixes I used. 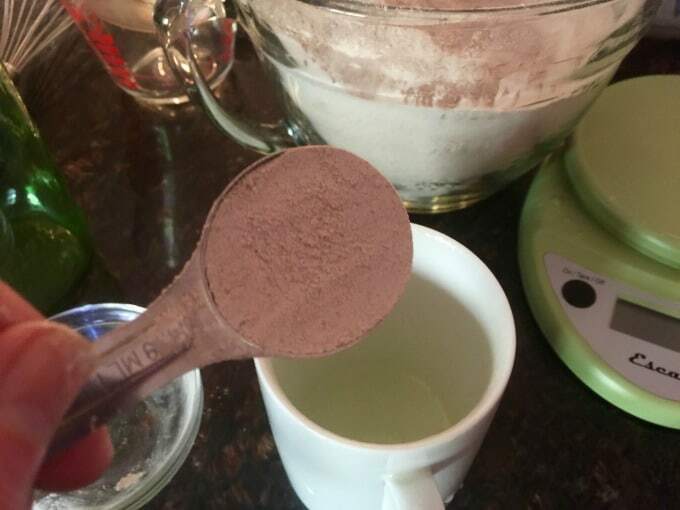 Your results may be different depending on the brands of cake mixes you use. Using Sugar Free Cake Mix will lower the SmartPoints to 4. Many people never get started with the thing they want to do because they feel overwhelmed or are waiting for perfect circumstances to begin. But if you never get started in the right direction you will never get to where you want to be. The most tiny of steps in the right direction will eventually get you to the success you desire. Little things really can add up to big results. 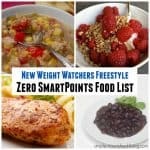 Update Notes: This post was originally published on October 5, 2015, but was republished with updated recipe notes, photos, a new video, updated instructions and nutritional information, including WW Freestyle SmartPoints in April 2018. 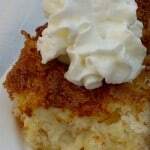 Rating thus recipe on the convenience of having a lite dessert available when thungrys hit. My friends have highly recommended it. Can you make the entire batch and freeze for future use? It is delish but a lot of points for such a little cake.